You can install cPanel on CentOS for better system administration. cPanel is a web-based control panel that can make tasks like website creation, database management and database deployment so much easier to manage. cPanel is convenient in that it allows users to administer servers through a GUI interface instead of the traditional command line. To install cPanel, you need a VPS license, either directly from cPanel or from an authorised distributor. cPanel also includes options for hosting your own DNS services. If you want to provide DNS services, you will need to add A records for your nameservers in your WHM. If you also want to use a domain name for these nameservers, you will need to ask your domain name registrar to DNS glue records before proceeding. cPanel requires the distribution-supplied/upstream CentOS kernel, so you need to make sure you are booted with that kernel and not your hosting provided kernel. Installation should be performed as the root user via SSH, on a newly deployed CentOS server. Make sure you run these steps as root or with the sudo prefix. Login to your server as the root user via SSH to its IP address. As simple as that, you have now installed cPanel. Many end users and system administrators alike choose cPanel for its user-friendly interface and comprehensive navigation. It is widely recognised as being the most intuitive and reliable control panel on the market. Once you have installed cPanel according to the steps above, the next stage is to configure it to your specific requirements and preferences. 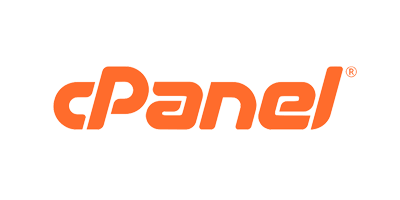 Keep an eye out for our next blog post on how to configure your cPanel. For more information or assistance, contact HostAfrica today.